Complete reverse osmosis system installed . Ice maker connection extra. Built in membrane TDS monitor. 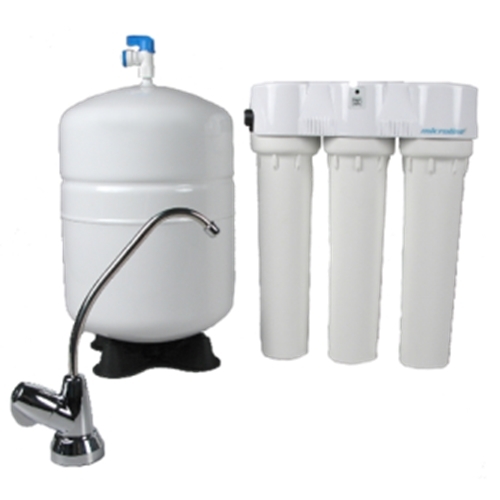 3-stage system with easy to replace filters and membrane. Chrome faucet included with optional finishes available, some at an additional cost. Manufactured in the US. Metal 3 gallon storage tank. © Copyright 2019 Enting Water Conditioning, Inc. All rights reserved.